If you’re a driver on a budget near Manhasset or Roslyn who still wants to get a car with exciting driving dynamics and plenty of premium features, then take a closer look at the new 2018 Acura ILX. In their laudatory review, Edmunds praises the ILX for its “long list of standard features, a spacious cabin and a nimble feel.” Meanwhile, Motor Trend likes its “generous amount of standard equipment and options.” And with a starting MSRP from just $29,065, it could still be within your budget! Should you go with the Acura ILX or Acura TLX? In order to find out, it’s a good idea to check out our guide. No matter which one you choose, you’ll find both of them for sale now near Manhasset at Rallye Acura. Our dealership is committed to serving our community, as well as delivering top-notch vehicles and services to every one of our customers. 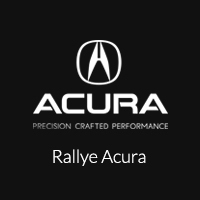 Stop by and see us today at our dealership in Roslyn, or give us a call if we can be of any help.